Confectionary giant Mondelez will use Facebook Messenger bots to talk directly to consumers, becoming one of the biggest brands to put money behind the nascent technology. DEERFIELD, IL: Mondelez, which owns brands such as Cadbury, Oreo, and Toblerone, has said it will increase its media spend on Facebook this year, though it wouldn’t say by how much. The deal, brokered with the help of Carat, covers 52 countries including the U.K., U.S., Brazil, and France. Its goal is to nail mobile advertising, particularly as the threat of ad-blocking looms large. Bonin Bough, chief media and ecommerce officer at Mondelez, said, "Mobile is the most profound disruption we've ever seen in business." "People are living their lives on mobile. It's changed the way we discover, experience, and share," he explained. "It's also changing the advertising industry, and messaging will have an even greater impact on how brands engage with consumers than social media has had." Along with reaching consumers directly on Messenger, Mondelez pointed to Facebook’s Audience Insights API as another area for investment. The API, unveiled by Facebook at Cannes this week, allows brands to target ad campaigns more effectively by accessing aggregated and anonymized data. Mondelez and AB InBev are among the beta test partners. 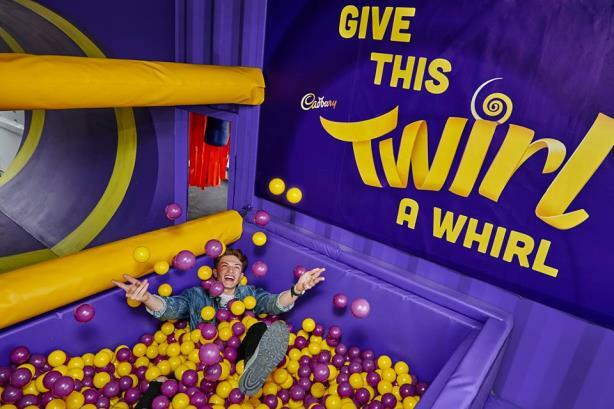 Mondelez piloted the API for its Cadbury Taste Like Joy Feels campaign in the U.K. and claims "better and deeper insights" into the kind of ads Facebook users like.